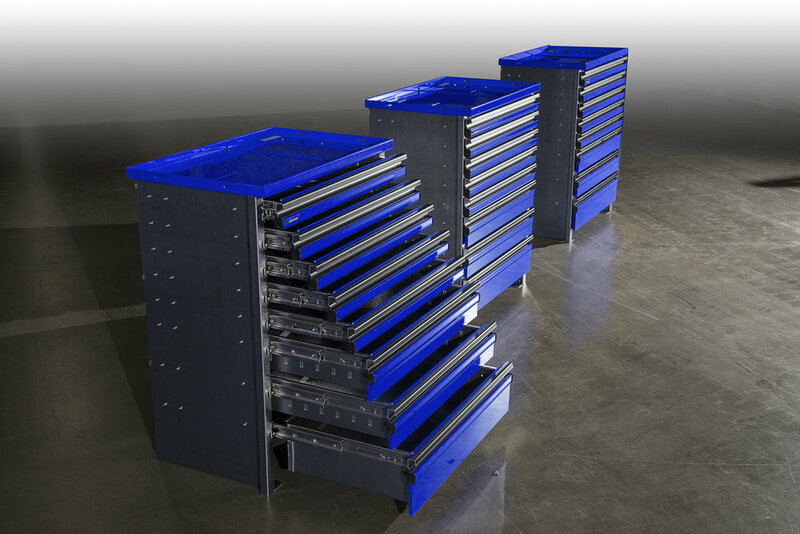 Until now, CTECH Tool drawer units have been available in four standard colors; white, grey, black, and red. We're excited to add another sharp color to this list, and it's called Blue Streak! Check it out in the Greenheck Racing toterhome, the new blue looks great when it's paired with a white chassis! 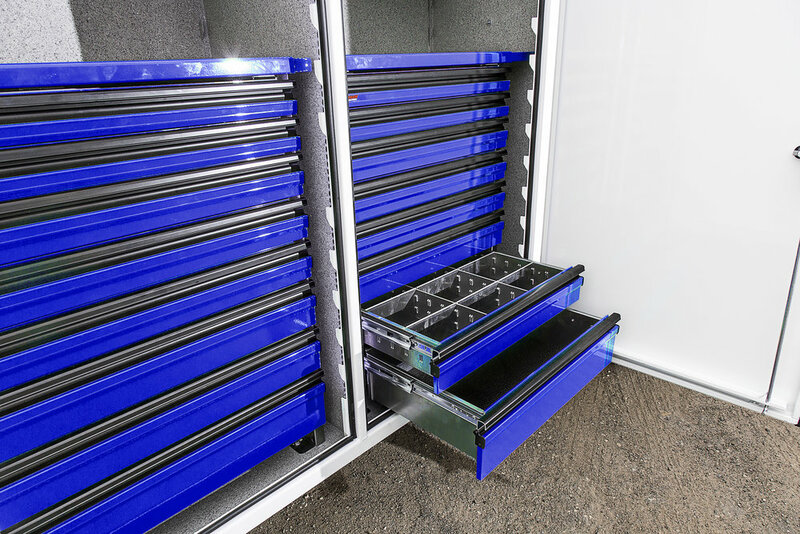 You may have seen Blue Streak before, as it's already available as a standard color in the cabinet and cart product line. Of course, adding a custom color is always an option with any CTECH product, but expanding our standard color offering helps make personalization a little more affordable.